The World Baseball Softball Confederation (WBSC) and the Osaka-based SSK Corporation today announced a partnership expansion that makes the iconic Japanese brand the Exclusive/Official Competition Ball and Kit Supplier of baseball's biggest upcoming international events through 2020, including the top-tier 2019 Premier12, the 2020 Olympic Games and 2018-2020 Baseball World Cups. The agreement expands upon WBSC and SSK's already existing global partnership, which made SSK the exclusive Umpire Kit Supplier for the inaugural 2015 Premier12 and Baseball World Cups (U-12, U-15, U-18, U-23, and Women's) for the 2015-2020 cycle. As part of the newly expanded agreement, and beginning with the upcoming WBSC U-15 Baseball World Cup 2018 in Panama this August, SSK will have a major presence on the field of play of WBSC international baseball events, with the umpires kit, WBSC officials apparel and competition ball all derived from SSK's elite product line. WBSC President Riccardo Fraccari said: "Only an iconic and elite baseball brand like SSK could be trusted to fill this critical role during what will be some of the most impactful and most watched international baseball events in history. WBSC is delighted to welcome SSK as the Official Competition Ball and Kit Supplier of international baseball and expand upon our partnership that has spanned more than 20 years. With committed partners like SSK, we will continue to drive baseball into a new and golden global era." SSK President Kyoichi Sasaki said: "SSK's brand motto is 'Baseball, it's our game'. We strive to connect the world through the sport of baseball and help them achieve a better life. 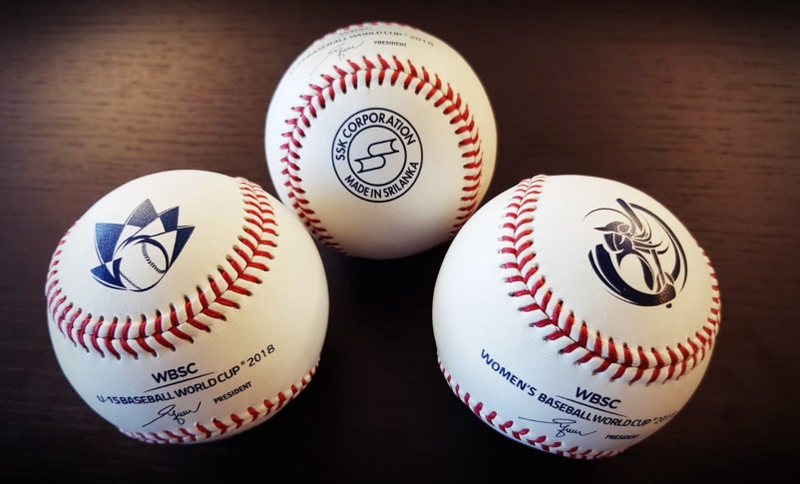 SSK will be providing official competition balls to Baseball World Cups of all categories, from U-12 to professional -- competitions that crown the best baseball country in the world. SSK has been supporting WBSC with umpire gear and apparels for over 20 years, and through this agreement with WBSC, we aim to contribute to baseball's further development in the world."